Euro 4 Caltex with Techron gasoline is now available in Caltex stations in Dumaguete and select major cities with full availability nationwide by the end of the year. 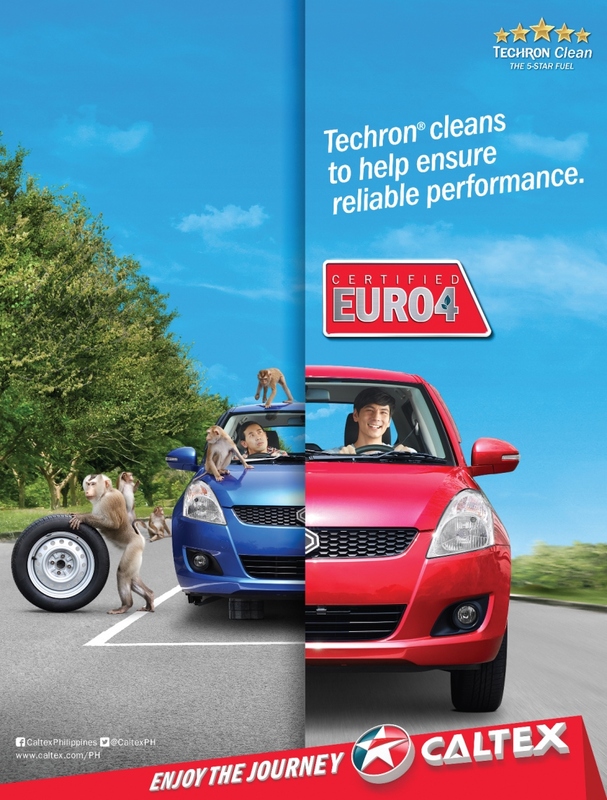 Marketed by Chevron Philippines Inc. (CPI), Caltex with Techron is proven to keep vital engine parts clean so vehicles can perform at their best. Combined with the introduction of cleaner fuel standards such as Euro 4, motorists can be assured that their engines will be equipped with specially-formulated ingredients which would not only keep engines clean but also offer maximized of power, better fuel economy, smoother drive, lower emissions and reliable performance. This is in compliance with the Philippine Clean Air Act and Department of Energy Circular No. DC2015-06-0004 mandating the use of environmentally clean fuels that meet specified emission standards. The main objective of the emission and fuel standard upgrade is to improve vehicle emissions for better air quality. This has to be done in unison with the availability of Euro 4 compliant vehicles. CPI expects that Euro 4 Caltex diesel and gasoline fuels will be available in all Caltex stations in the Philippines by January 1, 2016.